Attention all Stranger Things fans!!! I’m very excited to tell you that Hasbro Gaming is releasing a new collection of Stranger Things games and they are basically every nostalgia nerd’s dream come true. These glorious ’80s-themed games are being shown for the first time at the International Toy Fair in NYC this week, but this is your exclusive first look, and I don’t think I’m going out on a limb here when I say they are pretty friggin’ cool. 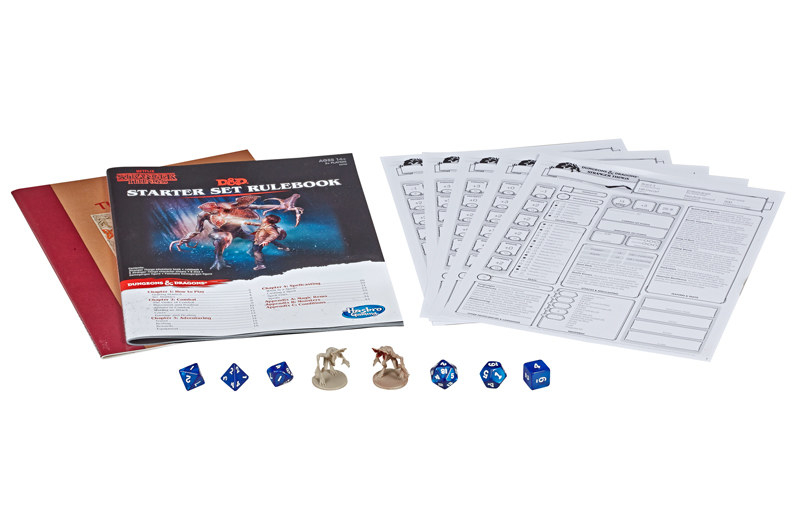 First up is a Dungeons and Dragons Starter Set — inspired by Mike, Lucas, Dustin, and Will’s favorite game, of course. 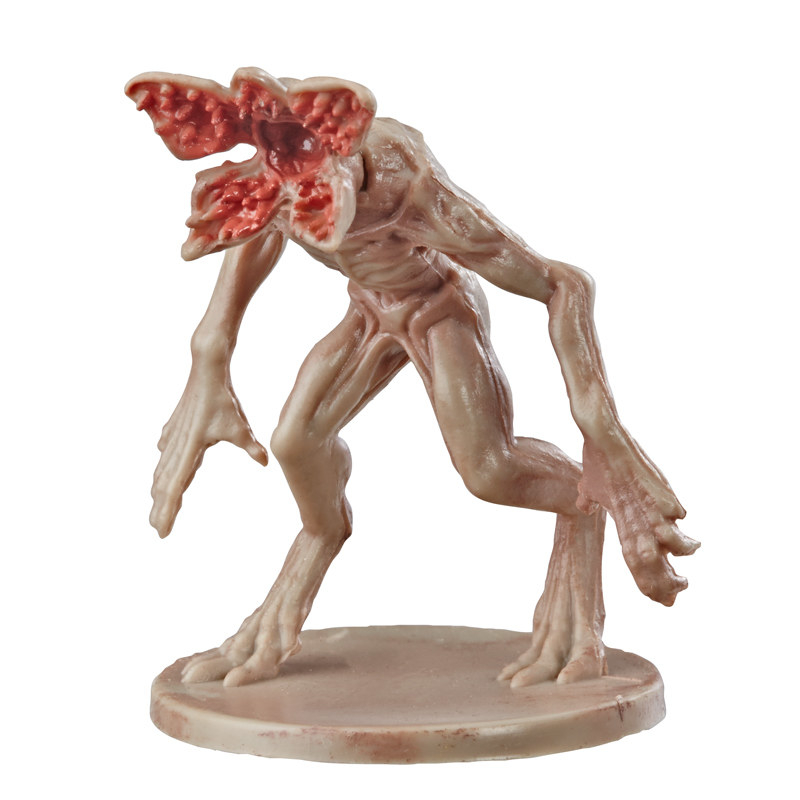 And, YES, it comes with a Demogorgon figure…TWO, in fact! This game is perfect for beginners (or even ~experts~ who just love the show) and includes a Stranger Things Adventure book, Rulebook, five Stranger things character sheets (like “Will the Wise!”), six dice, and two Demogorgon figures — one that you can’t paint yourself! 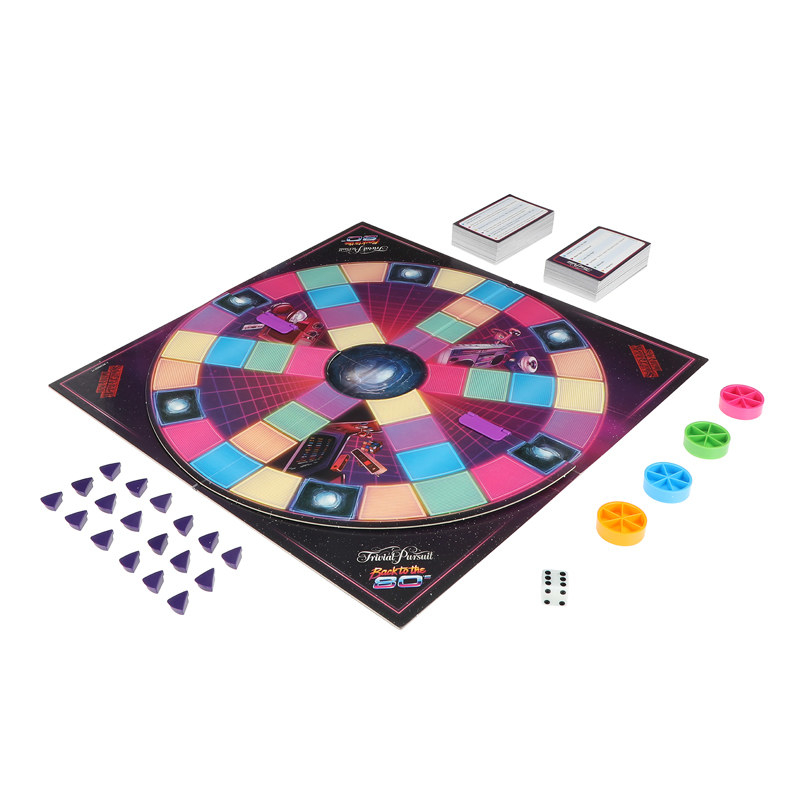 Next is a Trivial Pursuit “Back to the ’80s” edition — which is giving me all kinds of Spielberg movie vibes. 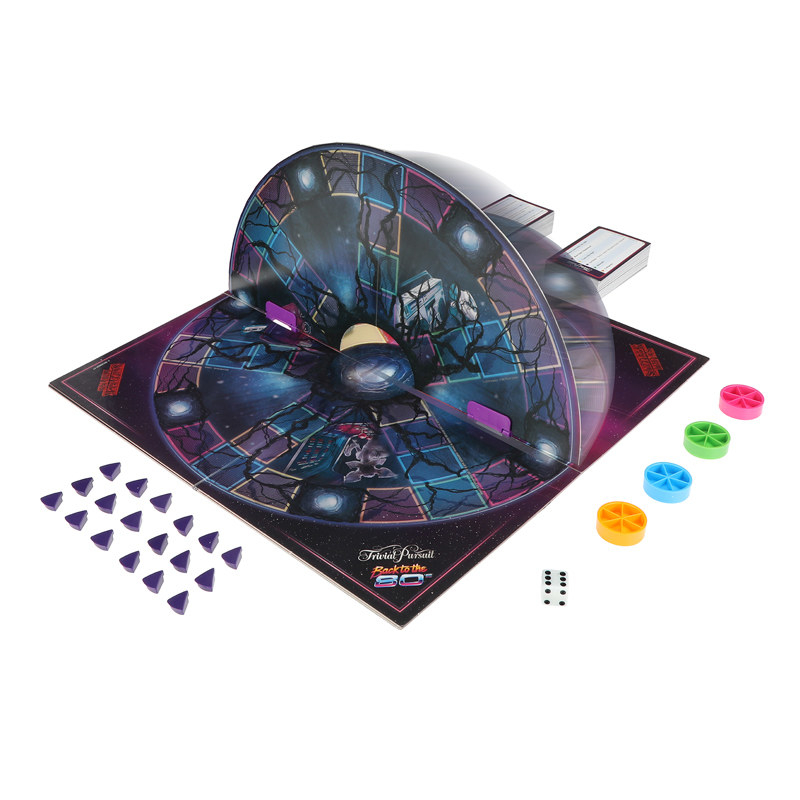 There’s even a fun ~twist~ where the board flips and takes you to the Upside Down! 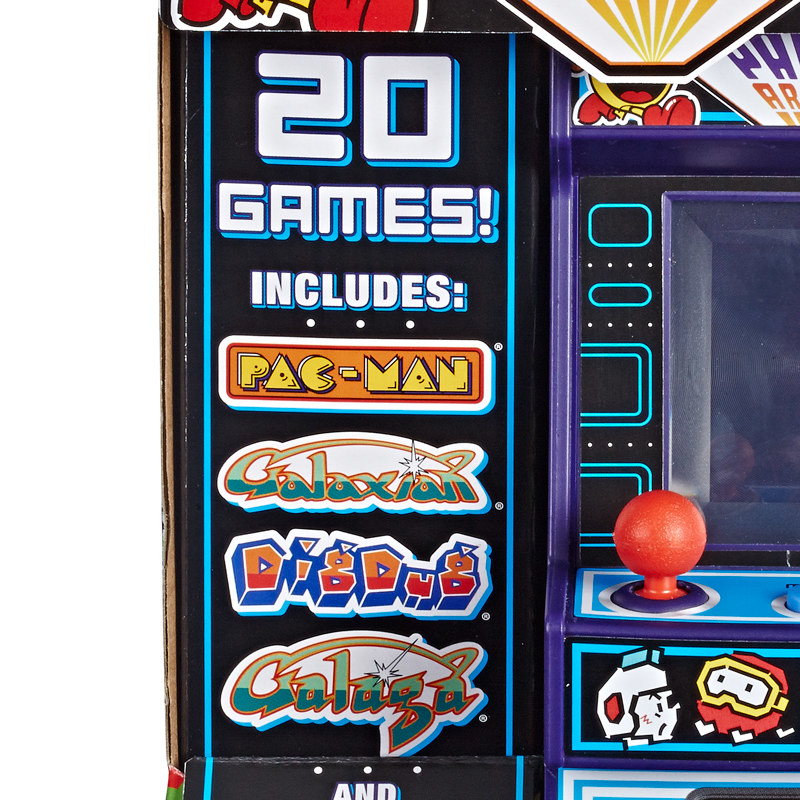 This portable mini arcade console comes with 20 games! 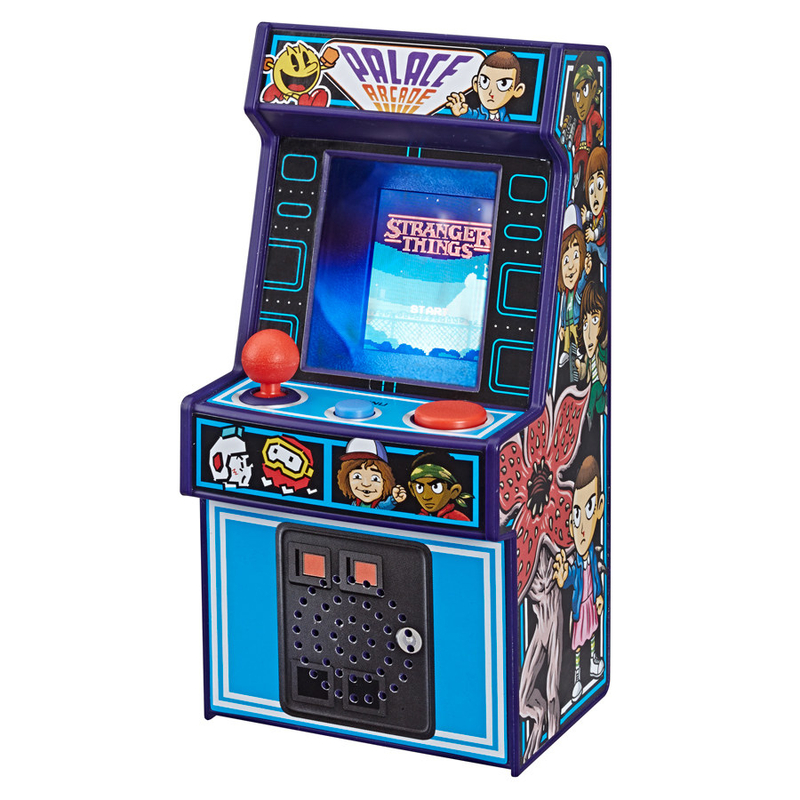 There are 16 unique Stranger Things-themed games on this lil’ guy and it also includes some of the video games that Mike, Will, Lucas, Dustin, Mad Max, and others played on the show like Pac-Man, Dig Dug, Galaga, and Galaxian!